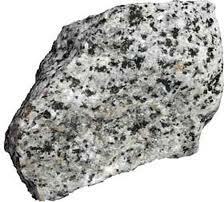 Granite is the signature rock of the continents. More than that, granite is the signature rock of the planet Earth itself. The other rocky planets—Mercury, Venus and Mars—are covered with basalt, as is the ocean floor on Earth. 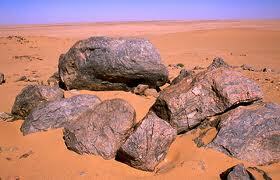 But only Earth has this beautiful and interesting rock type in abundance. Three things distinguish granite. 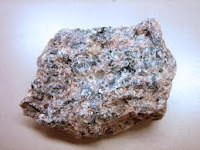 First, granite is made of large mineral grains (which is where its name came from) that fit tightly together. Second, granite always consists of the minerals quartz and feldspar, with or without a wide variety of other accessory minerals. The quartz and feldspar generally give granite a light color, ranging from pinkish to white. But that light background color is punctuated by the darker accessory minerals. Thus classic granite has a "salt-and-pepper" look. The most common accessory minerals are the black mica biotite and the black amphibole hornblende. Third, almost all granite is igneous, meaning it solidified from a fluid state and almost all granite is plutonic, meaning it did so in a large, deeply buried body or pluton. 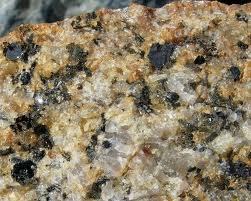 The random arrangement of grains in granite is evidence of its plutonic origin. 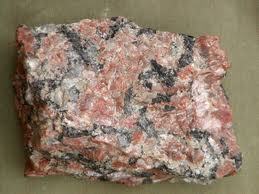 Granite is found in large plutons on the continents, in areas where the Earth's crust has been deeply eroded. This makes sense, because granite must solidify very slowly at deeply buried locations to make such large mineral grains. Plutons smaller than 100 square kilometers are called stocks, and larger ones are called batholiths. On the grandest scale, granite represents the way the continents maintain themselves. 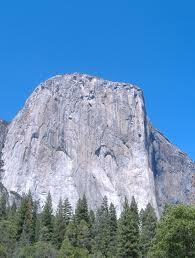 The minerals in granitic rocks break down into clay and sand and are carried to the sea. Plate tectonics returns these materials through seafloor spreading and subduction, sweeping them beneath the edges of the continents. There they are rendered back into feldspar and quartz, ready to rise again when and where the conditions are right.